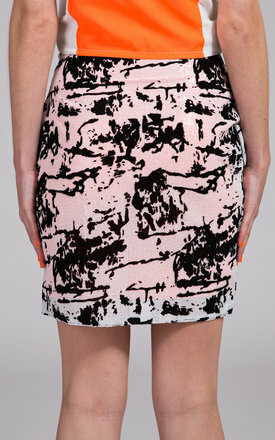 Black slightly raised and soft to touch patch effect with White sequins Mini skirt can be dressed for day or night. The neon orange lining slightly shows through to give a unique and edgie look, that you will not find any where else. The side features a invisible side zip. Finishes with neon orange lining. 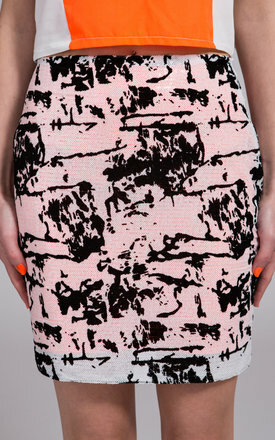 This sequins skirt is designed and made in London, by No Fixed Abode, London. Wear with our Sophie Sequins Cami for a co-ord look!